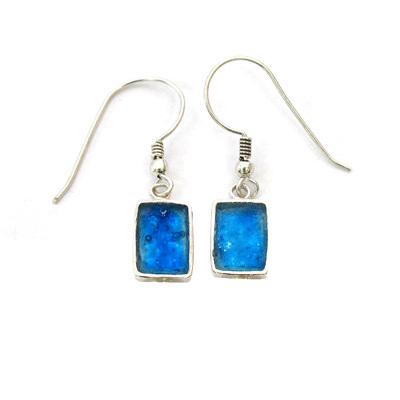 Adorable design in Roman glass 925 silver earrings with Ancient Roman glass . Beautiful Judaica Gift . Unique artist design earrings created with sterling silver and Ancient Roman glass . Recommended for galleries and boutiques .